Join the CustomMembershipSites.com Affiliate Program to promote and earn commissions on all sales you make. 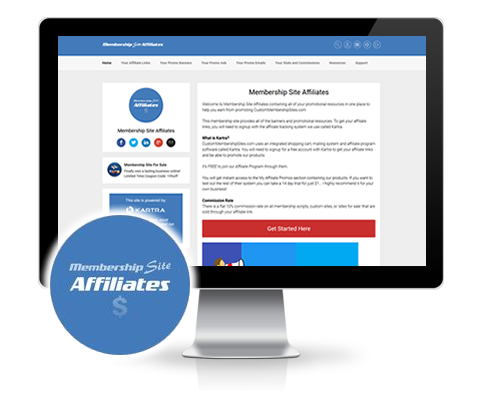 You will get access to the ‘Membership Site Affiliates’ membership site with resources and tools to help you promote! *Required Feilds – Your privacy is respected and your data will be kept safe. You will receive a series of informative emails regarding the demos, and then newsletter broadcasts from time to time. You can unsubscribe anytime.